AMM 2/c J. W. Burns, son of Mr. and Mrs. H. W. Byrns, graduated from Grandfield High School. 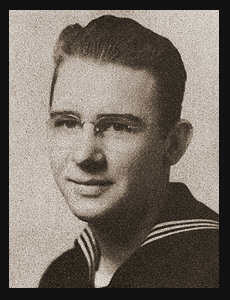 Entered the Navy in Dec. 1942, trained in San Diego, Cal., Norman, Okla., Memphis, Tenn., Alameda, Cal. ; served in Santa Rosa, Cal.